I just read a wonderful article, written by a young girl who got involved in animal rescue. She makes some wonderful points in her open letter to women that are involved in animal rescue. She goes right into the biggest problem, about how a lot of animal rescuers can’t seem to work together. Or maybe that they don’t try hard enough to work together. Let’s be honest. Things need to change. No, I’m not talking about the lack of laws to protect companion animals, although that certainly needs changing, too. I’m talking about the rescue community, and the people within it. The attitudes need to change. More importantly, the lying, backstabbing, hateful, and catty behavior needs to change. She is so on the mark with that statement. That the attitudes in animal rescue need to change. Having been in rescue for a few years now. And having worked with a few different rescue groups, and seeing how the different rescues interact. I have to say, she really hit the nail on the head. 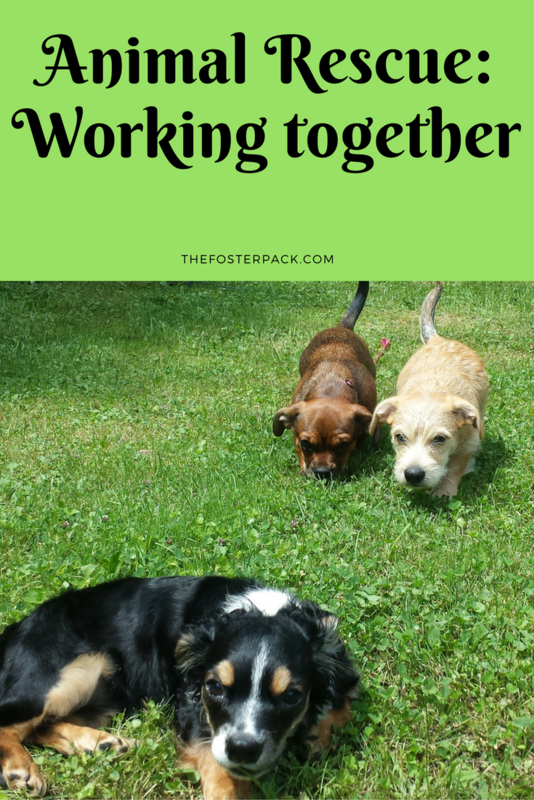 Instead of working together, the different rescue groups seem to work against each other. The backstabbing, telling stories and passing on rumors, runs rampant. The “high school mentality” as she so eloquently puts it. Instead of helping out new volunteers, and introducing them to the wonderful world of animal rescue. New volunteers are scrutinized, put down, and possibly scared off. That’s not really helping the animals. Everyone could accomplish so much more if everyone involved in animal rescue just worked together. No matter which organization they work with. They don’t even have to get along, just not work against each other. Instead of telling each other what you can and can’t do, we need to listen to each other. And maybe, just maybe, you’ll find a new way of doing something. For myself, I found a way to stay involved. Without being involved in all of the drama. I foster. I open my house and family up to as many dogs as I can. And I help out when and where I can.